If you’re on the hunt for an all-in-one customer relationship management (CRM) platform but you’re not yet ready to pay up for enterprise software, then you’ll want to keep reading. Maybe you’re not sure exactly what you need from a CRM or you simply don’t have the budget to go all-in at this stage. Whatever your reasons, we’ve got you covered in this article. 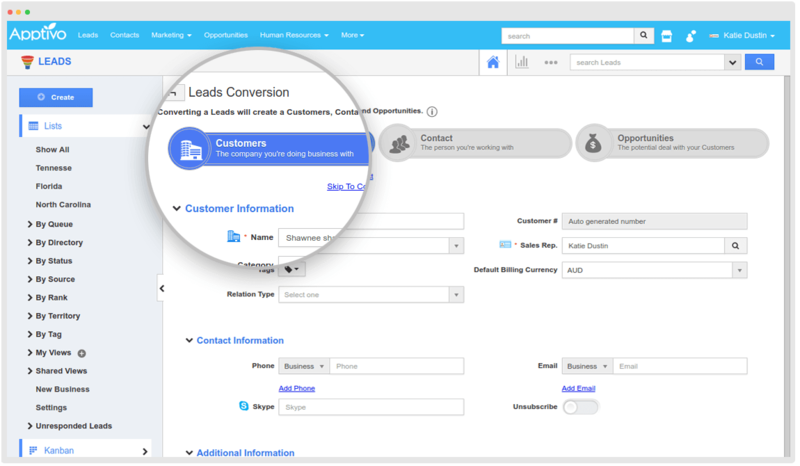 Today, we’re looking at the best free (or cheap) all-in-one marketing and sales CRM platforms available right now. We’ve written about ActiveCampaign on this blog a few times and you can find out why this is still our CRM of choice here at Venture Harbour by reading our in-depth review, which we wrote after having used it for four years. To sum up, ActiveCampaign offers one of the most comprehensive sets of email marketing, marketing automation and sales CRM features at pretty unbeatable prices. You can get started for as little as $9 per month and one of the key things about ActiveCampaign is that prices increase steadily as your business and contact list grows, unlike many providers who hike up their fees once you start dealing with a high volume of contacts. Five years later and ActiveCampaign still handles the vast majority of our email marketing, marketing automation and sale CRM tasks – because we simply don’t need much else. As far as CRM platforms go, it’s hard to beat Hubspot and the best part is you don’t have to pay a thing to use it either. 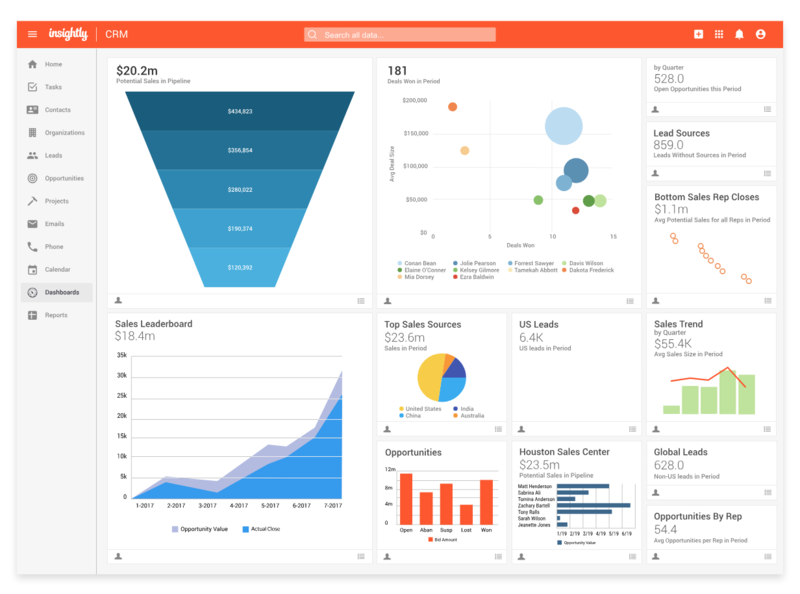 So, if you’re looking for a first CRM to get a feel for things and you’re not too worried about things like automation features, then you might want to give Hubspot a try. The problem with Hubspot is price creep – precisely the problem alluded to in the previous section. As soon as you add any automation features or get serious about lead nurturing, you can quickly end up paying thousands per month. 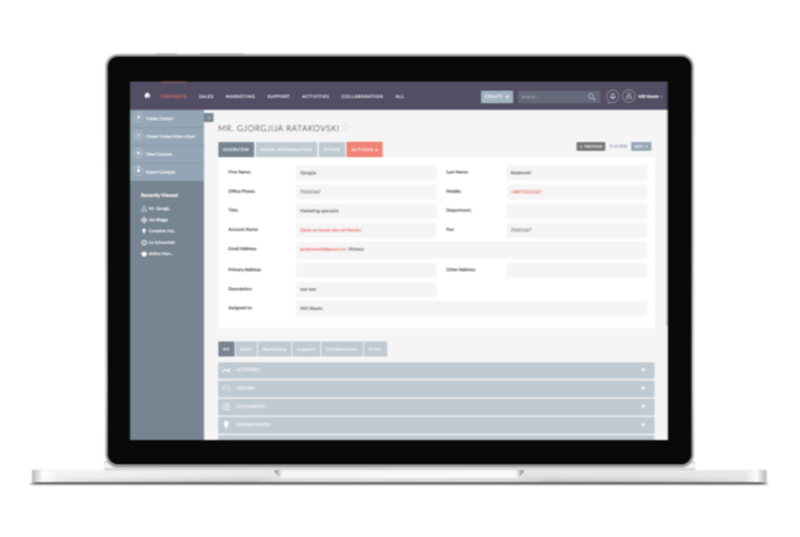 SuiteCRM is an open source CRM platform that offers a serious collection of powerful, highly-customisable features and processes. This gives you all kinds of freedom to create your own templates, pipeline models and automated actions – and you can get started for free. You do have to pay for certain customisation options but it’s impressive how much you can do with SuiteCRM before paying a thing. The downside to all of this customisability is that SuiteCRM can be tricky to work with at first. On the plus side, the company takes good care of its customers and you’re also joining an open source community where you can exchange ideas and get advice from businesses in the same position as you. Agile CRM is free for up to 10 users and 1,000 contacts, which gives you plenty of room to test drive the platform and see how it suits your business. This version is quite limited in terms of features, though – especially on the automation side of things – so you’ll need to see how the core features work for you and then do your research on the automation options available with the paid versions. Regardless, Agile CRM works out as a cost-effective option, even if you end up using the enterprise version of its platform. The key question is going to be whether you get the features you need and there are a few gripes – like the fact you can’t remove branding from your emails, no matter which version you’re paying for. Insightly is a favourite choice among small businesses, combining powerful features and reporting with very reasonable prices. You can try it for free although paid versions start from $29/month, making it more expensive to get started with than the other options we’ve looked at so far. That said, Insightly’s Professional and Enterprise versions are highly competitive at $49/m and $99/m respectively. You get access to most of Insightly’s features on all of its plans, so you can get a good idea of what it can do for your businesses before deciding which version to go for. Automation is the one area where features are pretty much reserved for the Enterprise version and we consider these to be businesses essentials in the modern age. MailChimp gives you very basic CRM functionality for free with a heavy emphasis on email marketing. Paid versions start at $10/m but you’ll need to pay $199 to unlock the platform’s automation and segmentation features. This isn’t unusual in the CRM businesses but the bigger problem is that MailChimp never really competes with the likes of ActiveCampaign and Hubspot when it comes to serious automation and lead nurturing. If you’re on the tightest of budgets or only need very modest CRM features, then the free or $10/m versions of MailChimp will be worth looking at. As soon as you start considering the Pro version of MailChimp, though, we suggest you look elsewhere for a more comprehensive email marketing, automation and CRM package. 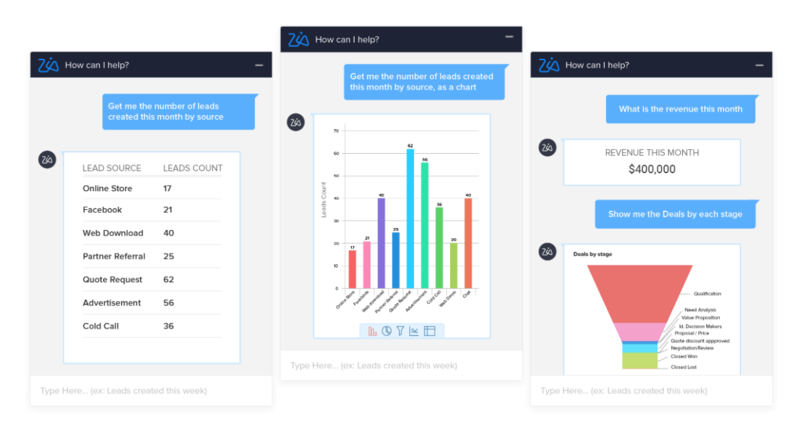 Zoho offers a free version of its CRM platform and paid versions start at $12/month. You get a solid set of email marketing, user tracking, customer feedback and social media features but you don’t get much in the way of automation without upgrading to Professional ($20/mo) or Enterprise ($35/mo). Even then, you’re limited by the number of automations and workflows you can create. So, if you need more than that, you’ll have to look at Zoho CRM Plus and this is going to cost you more like $50/month per user. 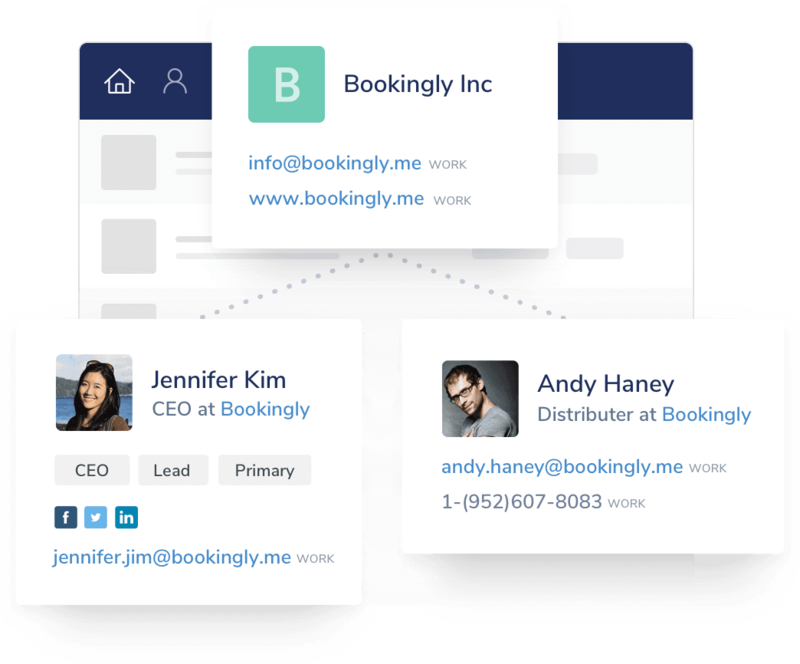 Capsule CRM aims to make customer relations simpler for small businesses and this starts with a free version for up to two users and 250 contacts. There’s only one paid version of Capsule and this will cost you $18/month per user for up to 50,000 contacts. 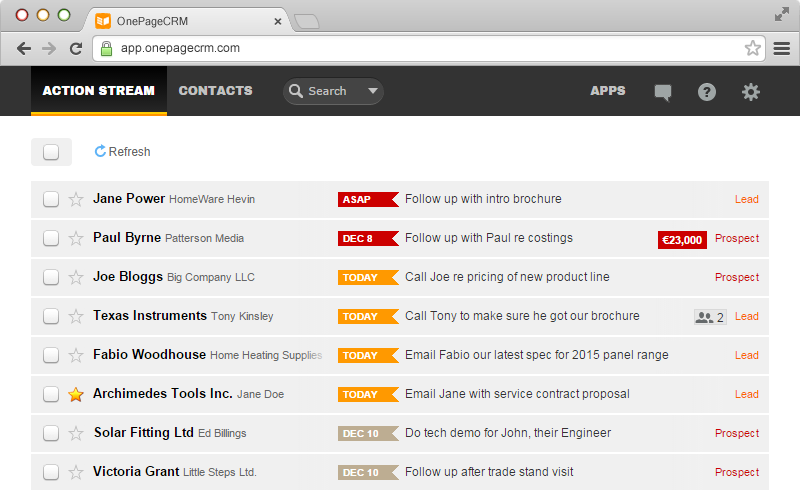 Features are broken up into four categories: Contact management; tasks & calendar; Sales pipeline; tracking users. There’s no throttling of features for free users, which is great to see and there’s also a decent offering of customisation options and a mobile app to help you manage things on the go. It’s a pretty good offering at this price point but there isn’t a lot of room for expansion. 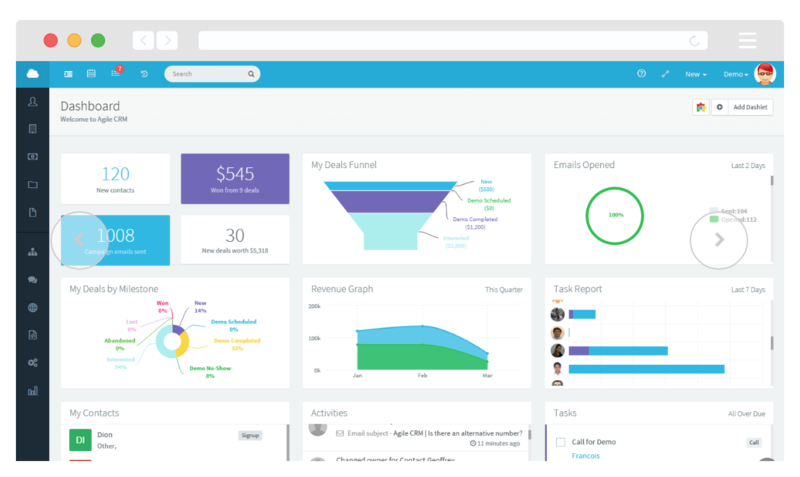 Essentially, you’re looking at a relatively simple CRM platform with an equally simple pricing structure. So, if your demands are modest, Capsule CRM could be all you need but it’s not a great option if growth is one of your core businesses goals. OnePageCRM takes a different approach to customer management by turning “the complexity of CRM into a to-do list” so your team can simply work their way down and tick off each success. There’s no free version but OnePage also has a simple pricing structure that means you’ll pay $12/month per user and that’s all it takes. For that, you get unlimited contacts but you won’t find any of the more advanced marketing and automation features available on some of the other options we’ve looked at. 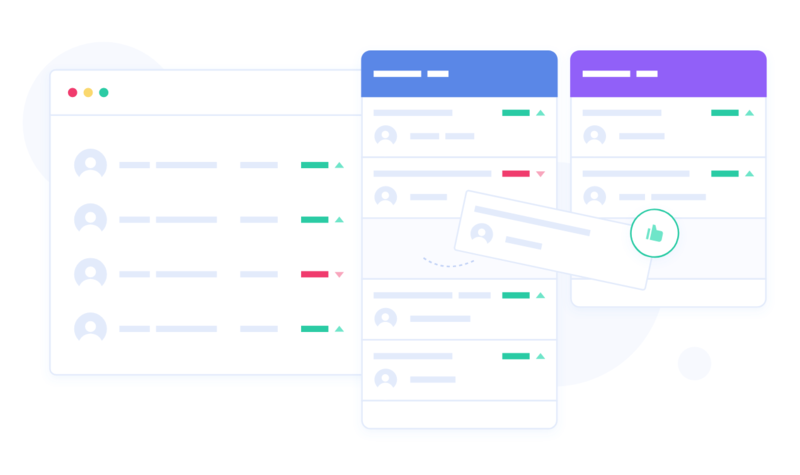 The to-do list design works well for a basic CRM platform and you can integrate with other platforms but these integrations are pretty limited. Once again, only really an option if your needs are very basic and you don’t expect this to change. Apptivo slots somewhere in between the very basic CRM platforms and the more serious offerings such as ActiveCampaign and Hubspot. The free version is good for up to three users although features are heavily restricted, but paid versions start at just $8/month per user and the feature offerings are pretty reasonable at each price point. Apptivo is essentially a collection of CRM apps that provide extensive features to a single platform that you can customise to your liking. It’s really knocking on the door of more advanced (and expensive) platforms but it’s let down by a lack of key integrations and some frustrating performance bugs. 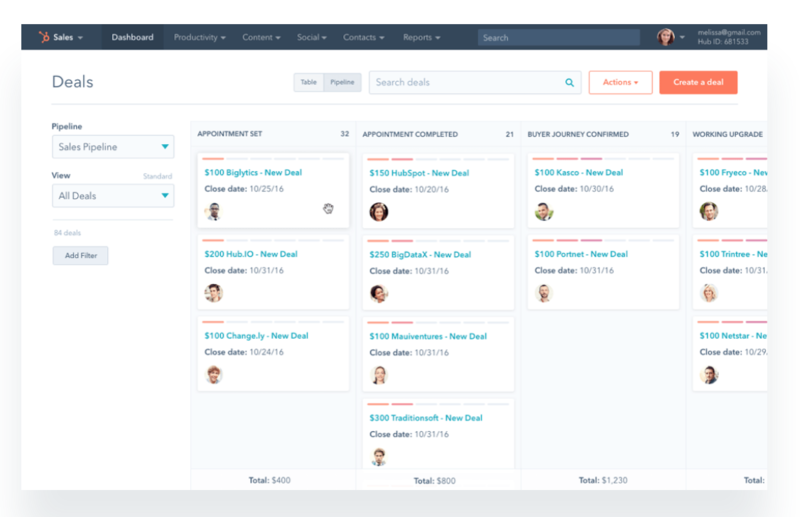 There are a few relatively basic features missing, too, like the ability to schedule re-occurring tasks and events, which should be a standard feature for any CRM of this kind. The point of this article is to prove you don’t need to cough up serious amounts of money for a CRM platform. There are plenty of free or cheap options that don’t tie you down to a contract, which gives you plenty of room to try things out and discover what you need (and don’t). The only thing I will say is that every CRM you try out requires a certain amount of time and resource investment, which you won’t get back. You also have to start again from a data perspective every time you try out a new platform. So, while you’ve got plenty of options to try out, you’ll want to try and find the right CRM platform for you sooner, rather than later, so you can start making the most of its data and contact management features. One final piece of advice: Make sure you end up with a CRM platform that provides enough room for your business to grow. You don’t want to find out in five years time that your CRM can’t handle the number of contacts you’re now dealing with or lack certain features that could hold you back.